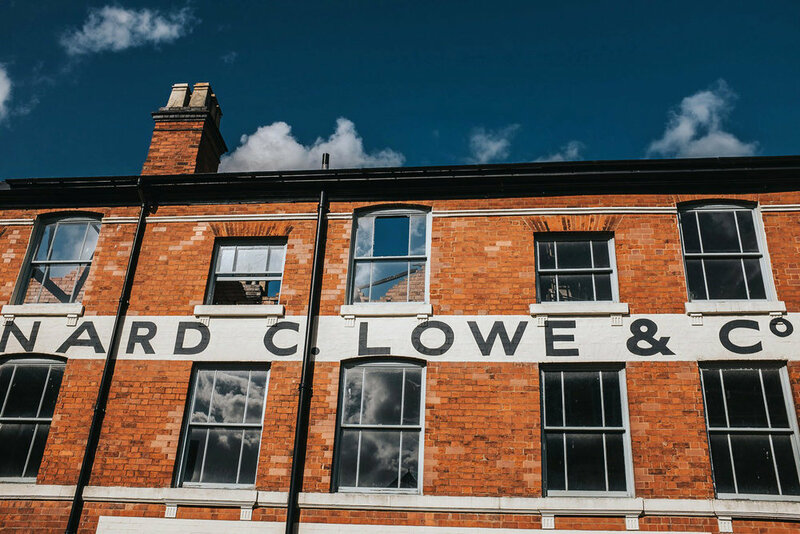 The Jewellery Quarter is an area situated in the south of Hockley area of the city centre of Birmingham, and is the perfect area for people looking for a creative and documentary Birmingham wedding photographer. 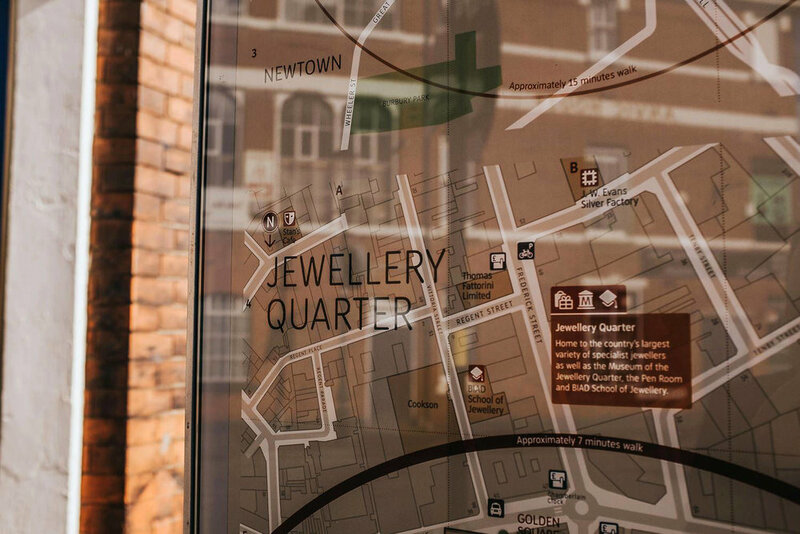 The Jewellery Quarter has a large concentration of businesses involved in the jewellery trade and produces around 40% of all the jewellery made in the UK. 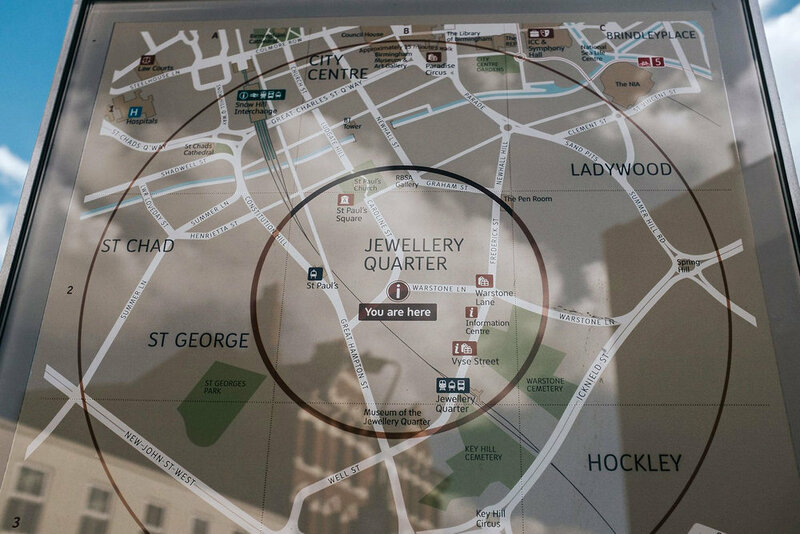 The Jewellery Quarter is rich in history which dates back more than 250 years. 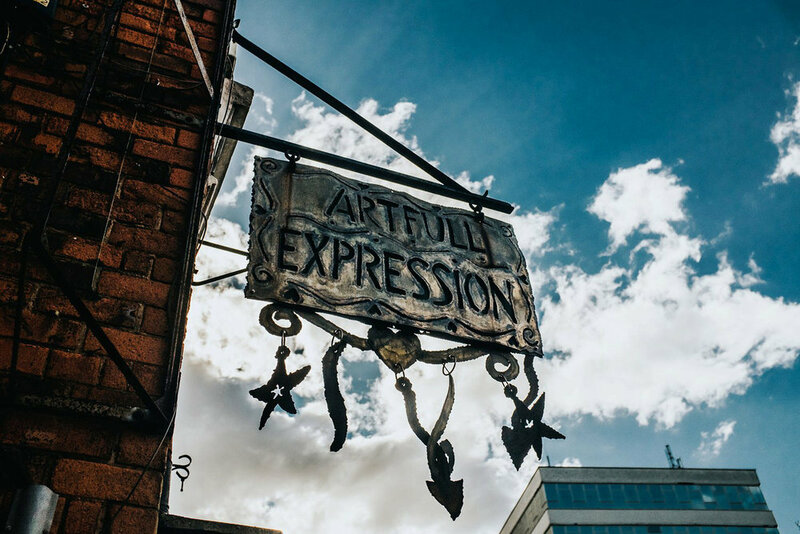 The area is now gradually changing into an urban village and a collective for creative businesses, whilst maintaining its urban fabric. If you are looking for engagement rings or wedding jewellery in Birmingham or the Midlands area then this is a must place to visit. There is a vast array and choice of jewellers to choose from when making your jewellery selection. 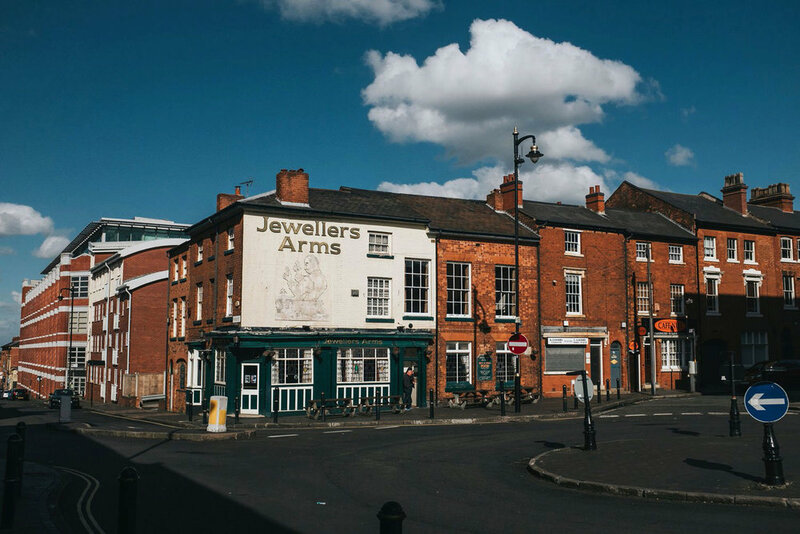 Whilst visiting the Jewellery Quarter and looking for your ideal engagement ring, diamonds or wedding jewellery there are lots of bars and restaurants to visit so stop by one of these too and have a really fantastic day out! I am happy to photograph AWESOME, FABULOUS, BEAUTIFUL & AMAZING WEDDINGS all over the MIDLANDS & WEST MIDLANDS including, BIRMINGHAM, THE JEWELLERY QUARTER, SOLIHULL, SUTTON COLDFIELD, LEAMINGTON SPA, WARWICK, ASHBY, MARKET BOSWORTH, DERBYSHIRE, THE PEAK DISTRICT, CASTLE DONINGTON, TICKNALL, SWITHLAND, WOODHOUSE EAVES, NOTTINGHAMSHIRE, SHACKERSTONE, SWEPSTONE, LEICESTERSHIRE, OADBY, STAFFORDSHIRE, LEEK, CANNOCK, STONE, WARWICKSHIRE, ATHERSTONE, SHROPSHIRE, HEREFORDSHIRE, TELFORD, SHREWSBURY, SHROPSHIRE, STAMFORD, LINCOLNSHIRE, SHIFNAL, NORTHAMPTONSHIRE, MARKET HARBOROUGH, KETTERING, ROCKINGHAM, WORCESTERSHIRE & OAKHAM, UPPINGHAM & RUTLAND & all over the UK including areas from HARROGATE, YORK, SURREY, KENT, BERKSHIRE, HERTFORDSHIRE, BUCKINGHAMSHIRE, OXFORDSHIRE, GLOUCESTERSHIRE, BATH, BRISTOL, HARROW, HENLEY ON THAMES, NORTH LONDON & CENTRAL LONDON and ALTERNATIVE, RELAXED, CREATIVE & DOCUMENTARY DESTINATION WEDDINGS too.